Easy poses to start, some flowing yoga, strengthening and balancing poses, breathing exercises, deep relaxation. Easy-to-follow instruction throughout. Tuition for the 9 weekly classes is $135.�Start any time during the session and your tuition will be pro-rated. Ask Judith the exact cost depending upon when you begin. Can I try a class before I commit to signing up? Can I start classes in the middle of a session? Yes. Your tuition will be pro-rated. Register here. �If you have not attended a class before, it’s best to email or call Judith before your first class. You can pay with cash or check in class. Credit card payment is available at the beginning of each session. If I miss a class or two, can I make them up? Yes, you may attend a different�class�any time during the current session. � � �…I’ve never done yoga before? � � �…I’m not flexible? � � �…I have an injury? No problem! These are common situations. Judith’s classes are mixed ability and mixed age. Let Judith know about any of these issues before class so she can better assist you. She will help you modify poses as needed. �She will support you in having a safe, positive and successful yoga experience. If you are registered for a class, you will receive emails with updates and cancellation information. Please arrive 10 minutes before class to settle in. If you are a new student, please arrive�15 minutes before your first class, so Judith can orient you. What is Judith’s teaching style? Supportive and encouraging. Judith focuses on students working at their own level and pace. She demonstrates and teaches good posture and correct alignment. She explains how the poses are helpful for the body and mind. She works respectfully with students’ injuries and physical limitations. 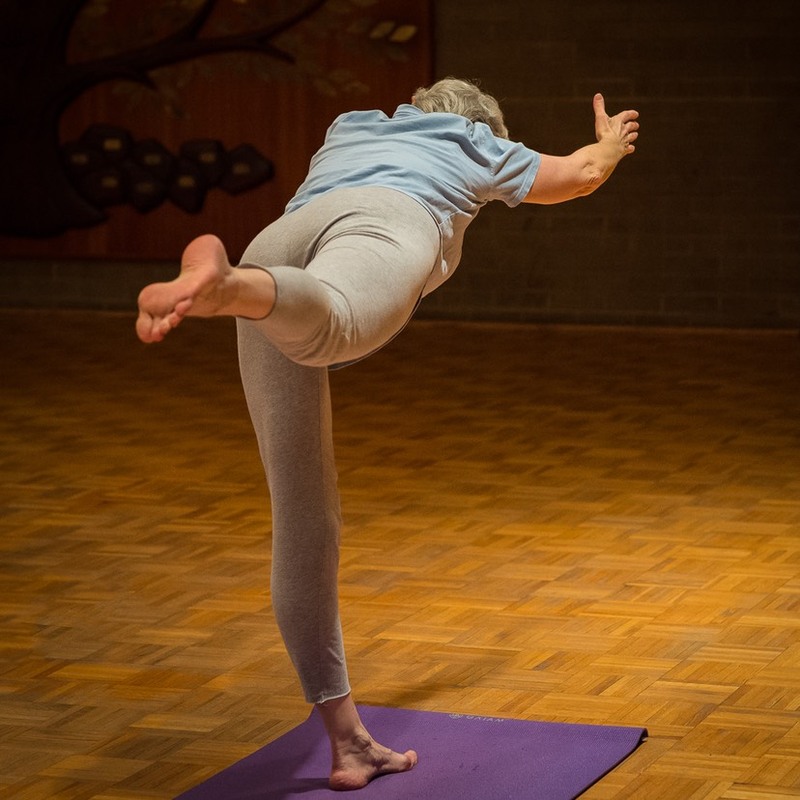 Judith adds more physical challenge in the�strengthening�classes.�Check out our Google reviews, which is a great source for personal experiences on Judith’s Teaching Style! What kind of yoga does Judith teach? Judith Valerie Yoga is an integrated, eclectic blend of yoga that Judith has evolved over 35 years. It is strongly influenced by training and certifications in Kripalu yoga, White Lotus vinyasa flow yoga and Iyengar yoga. 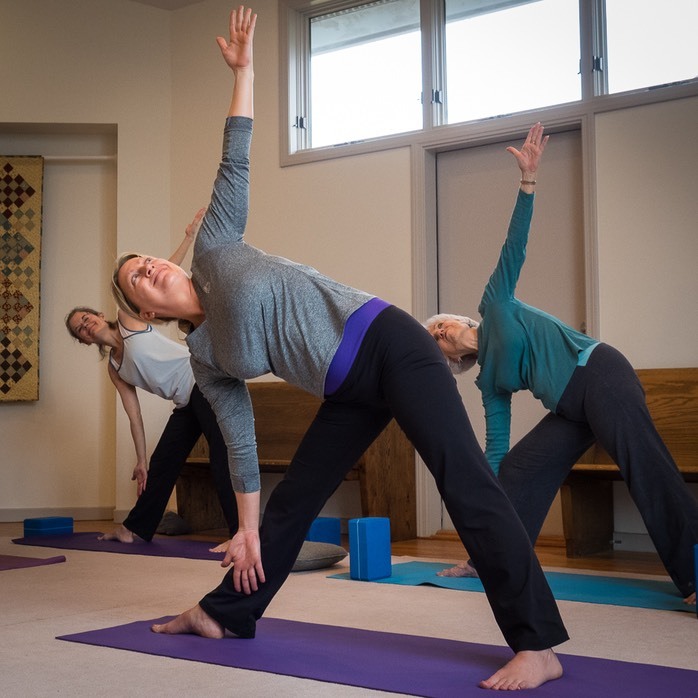 In classes and workshops, this style of yoga can also weave in classical hatha yoga, Vini-yoga, Integral yoga, yoga for bone-strengthening and yoga for balancing mood. (Depression and anxiety.) Judith Valerie Yoga gratefully embraces the many diverse and complementary types of yoga in America today. Do you have any yoga resources you recommend? Yes. Check out our Resources page.